We will help you identify the possible cause of unwanted messaging should you direct such a request to our Customer Support Service. It is fairly easy to unsubscribe from Canadian Pharmacy mailing list. Occasionally though, we receive complaints from users who continue to receive junk mail long after hitting unsubscribe button. If this sounds like your case, do not jump to conclusions. 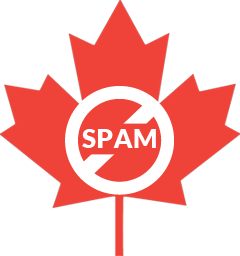 Checking if your email is on our mailing list is a matter of a couple of minutes; and as it happens in the absolute majority of cases, customers complaining about spam avalanche are not to be found on the list. Therefore, before filing an anti-spam request, you should collect information about the sender. Make sure that when you contact our Help Center you have the following details ready: the email address of the sender, the subject of the message, and the body of the message. Chances are that once you have a closer look at those junk emails, you will be able to establish that the sender is not our service, but someone using the name of it for their (rather unethical) purposes. What we would like you to understand is that once you have become our subscriber, we value the trusting relationship with you above anything else. We would not, ever, put a black mark on this relationship by failing to respect your privacy and pestering you with spam messages. One very practical advice that has helped a multitude of our customers complaining about spam abuse goes like this: never follow any links in junk emails, they work as a trap to identify responsive accounts. Even if you see an unsubscribe links, most commonly it is a jinx. It is an abominable practice and a sad fact that it exists at this time and age, but forewarned is forearmed, as they say, and some dealers know no better than this unfair game. Canadian Health&Care Mall has an altogether different business style where actions speak so much louder than words.